Órla is an interior designer, stylist and academic based in Dublin, Ireland. Her specialist areas of design are interior design, visual merchandising, and sustainability. Órla works on both residential and commercial design projects, and spent six years as a Senior Designer with Arnotts of Dublin. She has a special interest in retail design, it’s fast paced world of visual merchandising and window display, and how today’s consumer is navigating retail both online and in store. Orla also strives to implement sustainable strategies in all aspects of her practice. Órla currently works as a designer and stylist, and lectures with the Design Faculty at the Dublin Institute of Technology School of the Creative Arts, where she is a PhD Candidate. 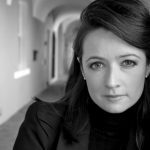 Orla is also a visiting lecturer with various design education institutions in Toronto, Canada.